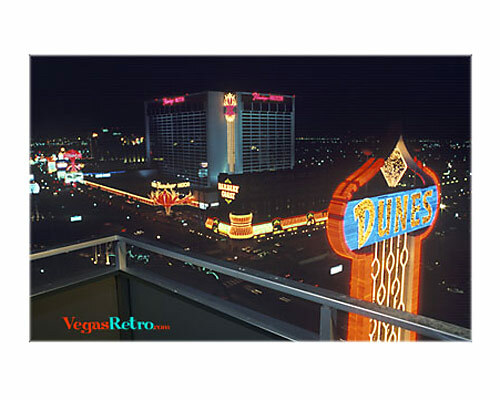 The Las Vegas strip taken from the "new" South Tower of the Dunes Hotel around 1983. The towers top floor had four special 3 bedroom suites designed in four different themes, all luxurious. The suites were for special high rollers, like Arab sheiks that traveled with a large entourage.